The Club Swan 50 is at the cutting edge of contemporary yacht design. While conceived as a one design class, it is also competitive in class racing. Our class experts and sail designers were involved with initial sea trials and early regattas, and we continue to test sails and work with our clients to optimize sail shapes. This main is an all-purpose 3Di Endurance sail with two reefs. This sail used with a luff car configuration and is the more offshore orientated main. There are exterior surface layers, which protect the sail as well as an extra offshoreply. The sail is slightly heavier than the MNi-3. The LI-3 Light Jib is manufactured from 3Di RAW and designed for a breeze strength between 5-14 knots. The MI-3 Medium Jib is designed for winds between 8-18 knots and manufactured from 3Di RAW. The HI-3 Heavy Jib is designed for winds between 18-28 knots. It is manufactured from North 3Di Endurance, which features a tough surface resin carried by light non-woven outer tapes to enhance durability. It is ideal for high performance offshore racing where long-term durability is paramount. The J4 Inner Jib is designed for winds of 28 knots and up. It is manufactured from North 3Di Endurance. The A1.5 -2 all purpose asymmetric is designed for 4-12 knots. It is manufactured from Superkote 60. The A2-3 all purpose asymmetric is designed for 10-19 knots. It is manufactured from Powerkote 66/88. The A4-1 all purpose asymmetric is designed as heavy air sail, 18+ knots. It is manufactured from Superkote 130. 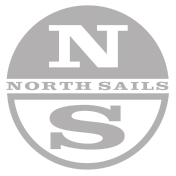 The spinnaker staysail is manufactured from NPL Code Xi Xi04. The storm trysail staysail is manufactured from Storm Orange high visibility 10oz Polyester. The storm trysail jib is manufactured from Storm Orange high visibility 10oz Polyester.